The Peoples of the World Are Plunged Into A "Strong Delusion" - Using Proven Principles of the 'Six Step Attitudinal Change Plan' James Cameron (33rd Degree Mason) introduces new documentary arguing that Jesus' bones have been discovered! Title: The Peoples of the World Are Plunged Into A "Strong Delusion" - Using Proven Principles of the "Six Step Attitudinal Change Plan", James Cameron (33rd Degree Mason) introduces new documentary arguing that Jesus' bones have been discovered! Subtitle: This insidious and invisible change plan changes many people's minds simply by being publicly aired and debated -- even if the defendants of the status quo argue brilliantly against the proposed change! Is this End of the Age prophecy about to be fulfilled? "New film documents discovery of Jerusalem cave containing ten caskets believed to hold remains of Jesus, Mary, Mary Magdalene and others. The cave in which Jesus Christ was buried has been found in Jerusalem, claim the makers of a new documentary film. If it proves true, the discovery, which will be revealed at a press conference in New York Monday, could shake up the Christian world as one of the most significant archeological finds in history. The coffins which, according to the filmmakers held the remains of Jesus of Nazareth, his mother Mary and Mary Magdalene will be displayed for the first time on Monday in New York." If this claim can be made to appear authentic, the Christian Church world will be shaken as never before, and many Christians weak in doctrinal knowledge could very well suffer the loss of their faith. In fact, since the Christian Church is already weakened as never before because of lack of Biblical knowledge, because of the acceptance of worldly and occult methods within the Church, and by preaching a watered-down Salvation Plan, the entire Church could wobble from this claim. Let us now return to this article for more information. "The story starts in 1980 in Jerusalem’s Talpiyot neighborhood, with the discovery of a 2,000 year old cave containing ten coffins. Six of the ten coffins were carved with inscriptions reading the names: Jesua son of Joseph, Mary, Mary, Matthew, Jofa (Joseph, identified as Jesus’ brother), Judah son of Jesua (Jesus’ son - the filmmakers claim)." Notice the definitive words in this news story: "filmmakers are the first to establish that the cave was in fact the burial site of Jesus and his family." As we shall show later, the fact of the matter is anything but established; many critics with excellent credentials are arguing that this claim is spurious, at best! But, this story uses the word, establish, a very firm word denoting that the matter is settled and the facts are strong. Let us review this Cameron's conference. "NEW YORK (Reuters) - Hollywood director James Cameron displayed on Monday artifacts that he said might have come from the tomb of Jesus, which once contained his remains, those of Mary Magdalene, and possibly their son, Judah ... Cameron and a team of scholars showed two stone ossuaries, or bone boxes, that he said might have once contained the bones of Jesus and Mary Magdalene. The findings are the subject of a documentary he produced called 'The Lost Tomb of Jesus' and a book 'The Jesus Family Tomb'." "The two small caskets were part of 10 found in 1980 during construction in South Jerusalem. Several had inscriptions translated as Jesus, Mary Magdalene and 'Judah, son of Jesus', Cameron told a news conference at the New York Public Library surrounded by scholars and archeologists ...The documentary comes on the heels of the huge success of the novel 'The Da Vinci Code', which contends that Mary Magdalene had a child with Jesus ... After they were discovered, the bones were reburied according to Orthodox tradition, leaving just the boxes with inscriptions and human residue to be examined though ongoing DNA testing." Indeed, the timing of this documentary and this book are most suspicious, coming on the heels of the 'Da Vinci Code', which rocked Christianity with its claims that Jesus did not die, but escaped the tomb, married Mary Magdalene, and had children with her. A book and a documentary can take over a year to bring to completion, so this project was probably begun at just about the time that the Da Vinci Code movie was coming to theaters. 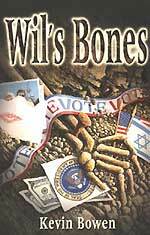 My attention was riveted on the fact that Mr. Cameron was calling upon DNA experts to "prove" that the bones inside the "Jesus" box were those of Jesus of Nazareth, whom we Christians call Jesus The Christ (Matthew 16:20). Since most people place a great deal of stock in "DNA experts", I felt that the inclusion of such experts in this newest of Jesus-bashing efforts represented new ground being broken. Additionally, the professionalism of the proponents of this story is the greatest of any such effort in the past. We shall note the credentials of these people shortly, as we get into the discussion of the Six Step Attitudinal Change Plan. As the scenario is unfolding, it contains the precise elements you would expect if the Six Step Attitudinal Change Plan was in play. Since we can see this insidious Plan working out in this news story, let us now go to an explanation of this invisible Plan -- designed to change people's attitudes and/or values without them being aware that they are being conditioned. This is the Plan and how it works on a person and on an entire population! This insidious method of changing the deeply-held attitudes of people is being successfully directed toward the American and world population as a whole. Millions of people are experiencing attitudinal changes on a wide variety of subjects today. This attitudinal change is essential to achieving the New World Order. Nothing seems so repugnant to most people than the idea that some force is manipulating and changing their life silently, invisibly. People react so negatively, it seems they feel almost violated, almost raped. Back in the early 1960's, as I recall, the American people learned that a process of 'invisible' advertising had been successfully developed and tested in theaters, called Subliminal Advertising. Such an uproar of protest ensued that the movie industry voluntarily pledged never to use subliminals for advertising purposes. This pledge came at just the right time, because Congress was about to pass legislation making the use of subliminals illegal. The pledge by the Entertainment Industry defused the crisis and Congress never passed such legislation. Even today, the use of subliminals is not illegal, even though most people still believe it is. But, the point here is that people do not like being manipulated or bombarded with stimuli, especially if they do not know it is happening to them. The fear of the unknown ranks very high. 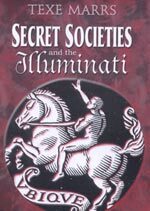 How would most people react if they only knew how many times daily they were being secretly, invisibly bombarded with stimuli -- with stories, with staged debates, with many planned events, many of which were deliberately created or triggered -- that was changing their values and their attitudes? How would people react if they really understood that they are not their "own person", despite their fervent desire to be just that? These people would feel violated -- mentally and emotionally raped -- and they would be very, very angry! Please read a very long dissertation we posted in late 1997, in which we pointed out the many ways in which this Change Plan was being implemented in our society every single day of the week; while this article needs to be updated, it is still a very good teaching device to alert you to the many ways in which we are being conditioned daily. This article is NEWS1055. Read it and be shocked to learn all the ways in which you and your family are being daily bombarded with Attitudinal Change stimuli. Remember, the key to success is Stage #4, sheer repetition, which wears down people's attitudes against the issue. Even if an change advocate of the subject under discussion is out-debated by an opponent, the cause of the Plan is advanced, because sheer repetition has been achieved. Thus, TV, newspapers, and magazines feel free to produce documentaries that seem to support the Christian viewpoint on a particular controversial issue, because media executives know that many people will be moved to support their non-christian viewpoint just because they had viewed the debate. This "debate" is the key to this Plan working. Therefore, let us examine this current crisis over Jesus' bones to see how it so exactly fits the Six Step Attitudinal Change Plan formula. Prepare to be surprised. Further, he has trotted out respected archeologists, experts in ancient languages, and DNA experts to back up his contention. Then, his documentary and his book provide the "RESPECTED forum" from which they will espouse their theory. Furthermore, when James Cameron stepped to the microphone during the news conference in New York City on Monday, February 26, 2007, he was speaking to TV, radio, and newspaper journalists the world over -- another "RESPECTED forum"! This entire introduction of this subject precisely fits Step #1. The shock and outrage from genuine Christians was immediately apparent. Furthermore, other experts in the fields of endeavor from which Cameron's experts were drawn felt compelled to immediately cast doubt on the entire affair. We shall see this develop over the next few weeks and months as the debate rages. We are beginning this phase right now, and shall continue it during the media roll-out promoting the documentary and the book. This media campaign could take most of a full year to unfold, thus keeping these controversial juggling balls in the air for a very long time. Let us quickly review some of the debate which has already been stirred up by this announcement. "Archaeologists and biblical scholars have poured scorn on a Hollywood film director's sensational claim that he has discovered the coffin of Jesus Christ. Oscar-winning 'Titanic' director James Cameron's assertion that the bones of Jesus and his family were hidden for centuries in a Jerusalem tomb caused an outcry in the Holy Land." This "outcry" is exactly what we are pointing out here, for an outrage is Step #2, and it leads directly to Step #4. In fact, this outcry will be counted upon the Illuminati to fuel this debate for as long as it takes to complete the conditioning process. Remember, New Age leaders have boldly stated that their New Age Christ could not appear until and unless a "substantial proportion" of the peoples of the world were pre-conditioned to accept him. This is major conditioning, in your Daily News. Apparently surprised at the hostility over his 'discovery', the director who famously claimed to be 'the king of the world' when he won an Oscar for Titanic, insisted it was not a publicity stunt and said his critics should wait and see the film. 'I'm not a theologist. I'm not an archaeologist. I'm a documentary filmmaker', he said." What Cameron is, is a 33rd Degree Freemason and producer of enough Hollywood hits to amply fund this most theological argument, one which can destroy the faith of tens of millions of weak Christians. Now, let us return to this article to see more of the skeptical outrage. "Most Christians believe Jesus' body spent three days at the site of the Church of the Holy Sepulcher in Jerusalem's Old City. The burial site identified in Cameron's documentary is in a southern Jerusalem neighborhood nowhere near the church. Amos Kloner, the first archaeologist to examine the site, said the idea fails to hold up by archaeological standards but makes for profitable television. 'They just want to get money for it', Kloner said. 'It was an ordinary middle-class Jerusalem burial cave', he added. 'The names on the caskets are the most common names found among Jews at the time'. " " 'The historical, religious and archaeological evidence show that the place where Christ was buried is the Church of the Resurrection', said Attallah Hana, a Greek Orthodox clergyman in Jerusalem." "Stephen Pfann, a biblical scholar at the University of the Holy Land in Jerusalem who was interviewed in the documentary, said the film's hypothesis holds little weight. 'I don't think that Christians are going to buy into this," he said. "But skeptics, in general, would like to see something that pokes holes into the story that so many people hold dear'." "How possible is it?" he added. "On a scale of one through ten, with ten being completely possible, it's probably a one, maybe a one and a half." We believe that, after this initial outrage has come and gone, a debate will settle in, driven by media coverage of promotion of the book and the documentary. 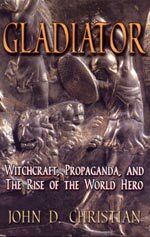 This longer-lasting promotion of the book and the documentary will provide great stimuli of conditioning which will promote the idea that Jesus' bones were discovered, without the counterpunch delivered right now by the skeptics and by Christians as they react to the initial story and to the news conference. This reality is what will ultimately change the minds of tens of millions of people. At some point, Steps 5 and 6 will begin to evolve. Let us now review the importance of the Resurrection to Christianity and to your eternal future. 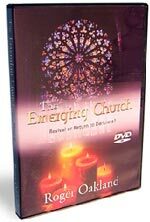 As we noted in our newsletter, February 24, 2007, Jesus' resurrection is the key foundation stone for all Christianity. Let us quickly review some of the pertinent Scriptures. The dead bodies of saints will arise because Jesus bodily rose first. If Jesus did not rise, then the hope of the resurrection of the dead is also an empty, futile hope. In other words, Jesus' resurrection proves His Divine Nature! If He did not rise, then He cannot be proven to be Divine, and hence our faith is in vain. This controversy follows quickly on the heels of the Da Vinci Code movie, and really completes this fraud. The circle of changing people's attitudes so that they believe Jesus was just as dead and buried as all other founders of religions throughout the world seems closed now. Is this the "Strong Delusion" of which the Apostle Paul foretold at the very End of the Age? Since the context of this Scripture is a thorough discussion of Antichrist and his appearance, we believe that, if this news story is this delusion, its appearing now is one more indication that the End of the Age is very near, and Antichrist is about to appear.